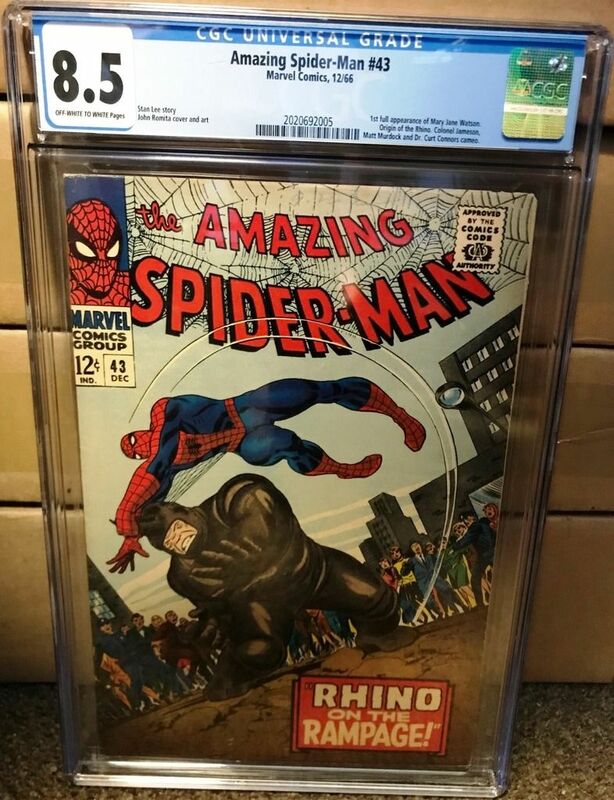 [CLOSED] spidey 43 cgc 8.5, ow/w f.s. i'll take it on thread wins over p.m.'s, but i'll listen to reasonable counters. paypal fine. return will be accepted. s/h on me usa, on you if not. "looks better than its grade" is often a tired litany, BUT this book was left in sarasota as a probable 9.0, and indeed looks better than its grade. oh, well. anyway, it's an 8.5+, and presents great. gpa is $273, and because of it's close-to-9.0 status, I'm looking for $300 shipped.